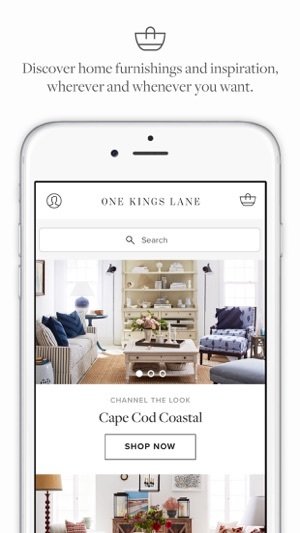 One Kings Lane is a premiere source for products, expertise, and inspiration to help you create a home you love. It sells everything from furniture and rugs to bedding and tableware. 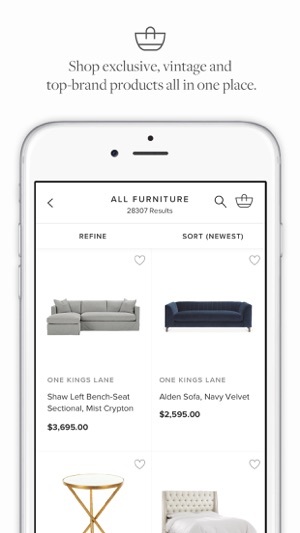 With our new app you can shop designer, vintage, and exclusive furnishings in every style—including your own. You can also book in-person and remote appointments with the design pros at One Kings Lane Interior Design and get inspired as you browse our blog. Love our app? Please write a review for us in the App Store. I love one Kong’s lane and have been waiting so long for this app and love having it but I have to admit there are a few functionality issues it’s really hard to favorite things because the screen moves and loads too large for the iPhone X screen. Really wish the developers would take a page from the Chairish app. The user experience is seamless and I can favorite things and then go to them and sort them by type instead of creating all these lists. 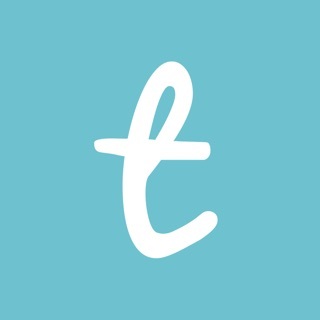 New app looks great, loads fast, and I love the new logo! Can’t wait to use it to shop over the holiday weekend! A lot of the functions still don’t work. For example, you can select a “category” when filtering.